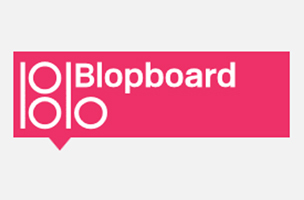 A new social network called Blopboard taps into the Internet’s collective conscious to provide answers to users’ questions in infographic form. 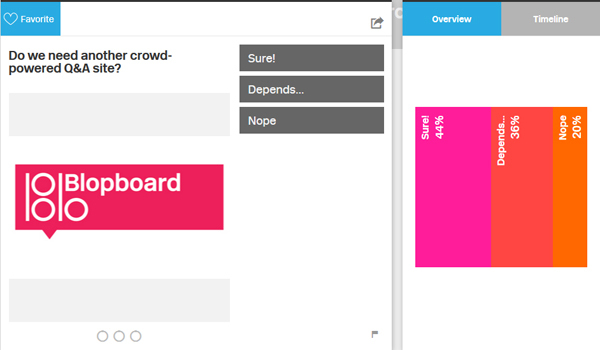 While still mostly a social polling site, Blopboard’s founders hope to build a social network by filling a void in the user experience on Q&A sites like Stack Exchange, Quora and Jelly. The focus on infographics will certainly appeal to today’s visually-based consumers, whose attention-spans keep shrinking. Once a user asks a question, he or she can choose from five different types of infographic to illustrate the results. Users can see who’s asked the question and leave comments. 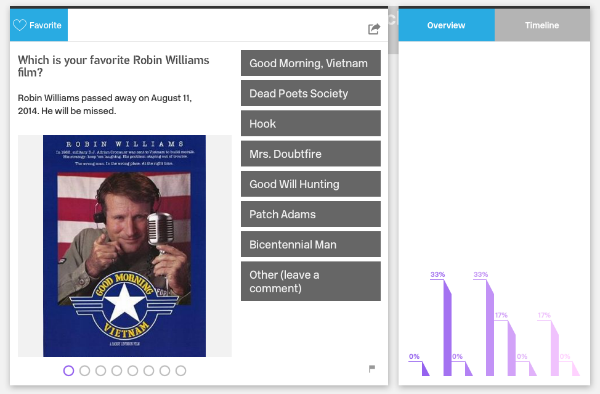 Viewing individual profiles reveals which questions users have answered, but not how. At the time of this writing, more than 4,000 questions have been asked, which range from thought-provoking to mundane. Fifty-eight percent of Blopboard’s users believe tablets and smartphones will eventually “push out the need for PCs.” Forty-nine percent of people think Uber’s next delivery item should be marijuana (before groceries, office supplies or alcohol). The site has plans to implement more detailed infographics and private polling options; companies may potentially use the site for audience polls. And Blopboard’s data, once developed, could prove interesting.